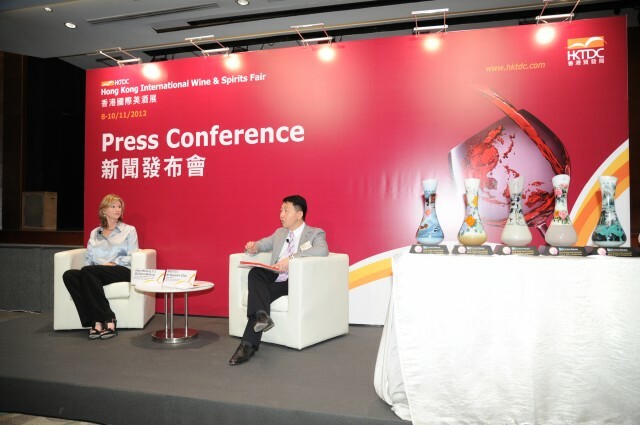 Details about the fifth edition of the Hong Kong International Wine & Spirits Fair have been released in Hong Kong, with a variety of events for both trade and the public introduced. Highlights include a Wine Industry Conference on the opening day which will explore ‘The Future of the Global Wine Industry – Trends and Opportunities,’ and will cover such topics as fortifying Hong Kong’s role as a wine hub, wine production and consumption trends in China and building a wine culture in this growing market. The Fair will also host the 4th Cathay Pacific Hong Kong International Wine and Spirit Competition Award Presentation Ceremony and a gala wine dinner, the ‘Mid-Autumn Night’s Dream of Truffles, prepared by three Michelin-strred chefs, including the three-star Hong Kong-based Italian chef Umberto Bombana. Both the gala dinner and awards ceremony be held on the evening of the 8th. Events specifically designed to engage the public and excite interest in wines and spirits are scheduled for the final day of the Fair. A Wine Education zone has been created to both cultivate wine appreciation in the public and provide training for industry professionals. Other wine education offerings range from daily wine-tasting sessions to master classes and seminars. Cocktail demonstrations will be held daily in the Ice Bar. The public day will also see fine wine tasting sessions highlighting offerings from Australia, France, Italy and Spain. Admission fee for the sessions is HK$500, which includes free entry to the fair on the same day. – Georgian Valleys Corporation, whose Jani Red Wine comes in a horn-shaped ceramic bottle. Georgians are known to toast with real bull horns filled with wine during special celebrations. – The Merit Wine Boutique will display the world’s largest bottle of Champagne. Its Armand De Brignac Champagne weighs 45kg, with a volume equivalent to 40 standard (750ml) Champagne bottles. – Branded Spirits Ltd will showcase its Tequila Corralejo, made using only 100 per cent blue agave. Miss Mexico, Elisa Nájera Gualito, will be on hand to promote the company’s products. – Chapel Down plc will present its Curious Brew, a lager re-fermented with Champagne yeast. – Hong Kong’s Portrait Winery Co Ltd will offer its Poire Royal Brandy, made with Oregon Barlett pears. Cold-fermented, the brandy is distilled twice and aged in barrels. Hi, I would like to know if you supply the below wine. If you do, please get back to me with the unit price and stock availability.